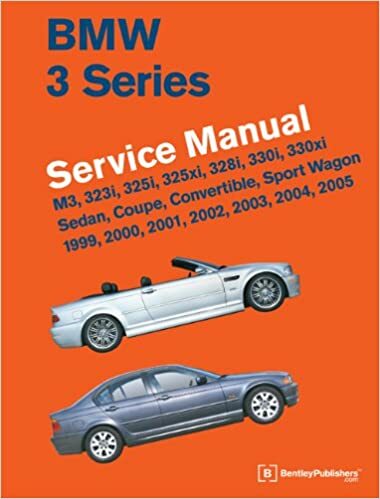 Your BMW E46 and Lexus IS Resource: Mango's Rules to modding your E46 - A Guide to E46 Modding! Mango's Rules to modding your E46 - A Guide to E46 Modding! So you wanna mod your E46 huh? Most high-end luxury-sporty car manufacturers design their cars with balance in mind. BMW is no exception. The E46 in its day was praised the world over by fans and automotive journalists alike. 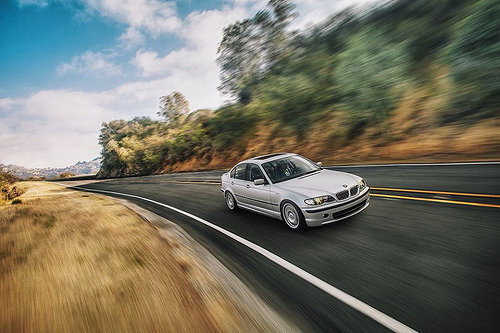 The reason for this praise is due to the high level of driveability, performance, and comfort BMW struck so well for its cars, particularly the E46 model. We all know this, and by and large the reason we all bought these cars. Now, don't get me wrong, I love modding as much as the next guy. My very own 330i had many modifications done to it, but largely those that improved the driveability or performance, but not in such a way that would have excessive detriment or cost-efficacy. Some of my favorite mods were parts that BMW designed -- M3 engine/trans mounts, M3 RTABs, M3 quad balljoints. If you can grab your mods from your manufacturer's tuner parts bin, that's ideal. You know it's tested and proven. Other favorite mods of mine are Bilstein Sport dampers. These are a superior mod over other brands like Koni for several reasons. Here's my recommendations for the following popular mods. Our non-M M54 engines have extremely well designed airboxes. They strike an effective balance between air flow, NVH control, induction temps. You affect one, you usually affect the other. 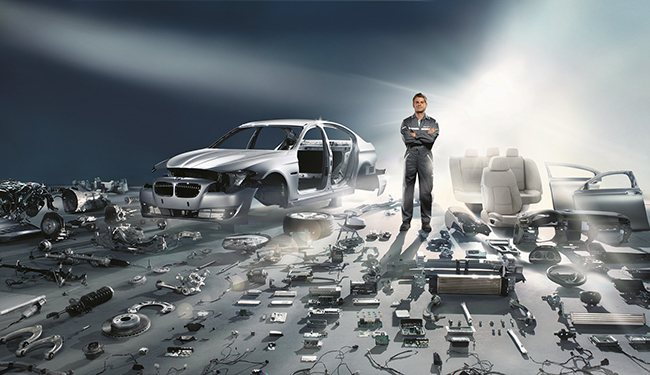 BMW has a full engineering staff at their disposal with nearly limitless resources and secret internal supercomputer-derived data on which they design their powertrain systems and sub-systems on. The stock intake is the business! The filter element used is more than large enough for the demand placed on it by our 2.5 and 3.0L engines. The stock intake is designed to pull in cold air with a ram air effect. Our engines are maximized for efficiency at low to mid RPMs in concert with VANOS and the DISA and as such, the intake is tuned with this overall system in mind. You wouldn't want to break up BMW's symphony, do you? Low to mid RPMs is the M54's happy spot. Why screw with that? Your VANOS, DISA, and manifold design work in harmony to provide low-mid range grunt and response and you want to throw a curveball into that with your untested filter on a stick? Any $200-300 intakes you buy (assuming it's a well designed one) may give you 1-3hp at the very top of the rev range at redline, but you'll likely suffer a bit at low RPM, particularly with throttle response as one of my good friends experienced with his high end < Insert popular expensive intake brand here >. The lesser of the evils is the BMW performance intake where it's said to make a good sound--however the draw back is these have been known to go over $1,000. With many aftermarket intakes, you have the threat of ingesting water and hydrolocking the engine. And finally, many are illegal, particularly in California. Is that expensive intake worth it for the added noise and attention from cops it just brought you? In my younger modding days, I had a cop ask me to pop my hood before. It's not fun! I've also removed my fair share of aftermarket intakes for E46 members here. In short, they got tired of the added noise, fitment issues, constantly having to jerk them off to stay on the car, etc. Most of all, they hated the throttle response. The stock system is well designed including heavy duty corrosion resistant materials and double wall design. And if you delete the stock butterfly valve on 330 models, you can get a nice deep rumble if you desire a sporty sound and maximum flow! If you must mod, go with stock ZHP exhaust which includes butterfly delete and different tips! The muffling chamber also creates a nice sound as well. As far as headers, only stock. If you must mod, pull from another BMW model. The point is you need high quality BMW parts with stock cats. Do the responsible thing for the environment! Also stay legal and avoid headaches. Anything aftermarket* (Unless your car is full time race car or your state has no applicable laws or restrictions) Not worth it. This type of mod I believe has a larger window of cost-effective modding. The stock suspension is wonderful beyond words. Strikes a nice balance. But particularly on non-M models, it's a bit more on the comfort side but still plenty capable especially with sport models. Believe me, I had a sport E46 brand new from the factory. Sublime handling! Go with BMW ///M or ///M3 parts if possible! Any generic stuff from ebay including those aftermarket R9, TR, GH, or whatever coilovers kids use. They've been known to bust welds while going 90 mph and flip BMWs over. Not to mention perform like poo. Stay away from generic. Any other unknown custom "enthusiast" put together kits unless those parts are publicly listed online so we know how safe it is. You see stuff from certain stores that make you scratch your head, sometimes they throw in meh stuff with good stuff? I'll quote the takeaway here: For 99.99% of your driving, the stock BMW brakes are optimum, in my opinion. Sure you can get some race pads and gain marginal increases in pedal feel, consistency namely after high-speed repetitive stops, but for a daily driven car, consider that these upgraded "race" brake pads may not provide the consistency and quality of braking stock pads deliver, particularly in "cold" temperatures you will normally see on the street. The last thing you want is to T-bone a car that pulled out in front of you on the way to work because your "race" pads needed 10 repetitive stops on the track in order to become immediately effective. Race pads also tear into rotors and make a ton of noise. There's usually a price to pay when you gain performance. Keep it stock or go with the pre-designed direct plug and play system by popular companies. I think the name starts with a B? Stay away from those dyna-whatevers, android whatevers, and cheesy single din-enclosures. I stayed stock and installed an adapted aux interface and called it a day. 1) Spend wisely. Make sure your mods are worth it relative to what they give you. On a performance car, you should emphasize performance. Does $300 get you 3HP? Ask yourself, "is it worth it?" That's money you'll never get back. At least make sure it delivers a return on performance! 2) Stay legal. Not worth risking spending even MORE money on top of already poorly spent money when you get a ticket and have to face a judge. 3) Stay responsible. Your mod might be cheap and legal, such as heavily stanced and cambered wheels. But it may not be responsible. Are you risking spinning your E46 out of control as soon as your overly stiff, overly low, overly wheeled and tired, and overly cambered E46 spins into a tree or worse yet, into a family of four? Remember your choices can affect others. So you're having BMW E46 Brake Shakes, huh?